When Emma Montague left the strict confines of upper-crust British life for New York, she felt sure it would make her happy. Away from her parents and expectations, she felt liberated, throwing herself into Manhattan life replete with a high-paying job, a gorgeous apartment, and a string of successful boyfriends. But this wasn’t the life she wanted either. On the move again, Emma settles in Westport, Connecticut, a world apart from both England and Manhattan. It is here that she begins to confront what it is she really wants from her life. When a shocking family secret is revealed, 20-something journalist Cat Coombs finds herself falling into a dark spiral. 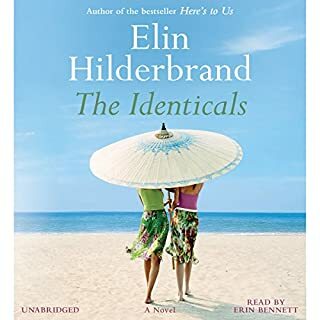 Wild, glamorous nights out in London and raging hangovers the next day become her norm, leading to a terrible mistake one night while visiting family in America, on the island of Nantucket. It's a mistake for which she can't forgive herself. When she returns home, she confronts the unavoidable reality of her life and knows it's time to grow up. 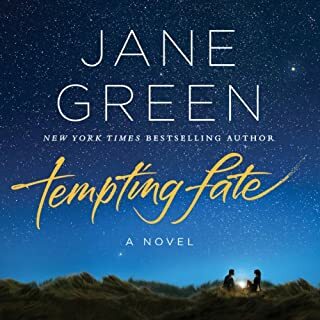 In Tempting Fate by Jane Green, Gabby and Elliott have been happily married for 18 years. They have two teenaged daughters; they have built a life together. So why does 43-year-old Gabby feel like she has only three more minutes left of youth? Why do her friends so desperately try to hang on to their attractiveness? And why does she ever even look at the handsome guy - 10 years younger - at the other end of the bar one night? Gabby is the last person to have an affair - a physical one, at least. Marin Bishop has always played by the rules, and it's paid off: On the cusp of 30, she has a handsome fiancé, a prestigious Manhattan legal career, and her father's hard-won admiration. But with one careless mistake at work, Marin suddenly finds herself unemployed and alone. Before she can summon the courage to tell her parents, a young woman appears, claiming to be Marin's half sister. 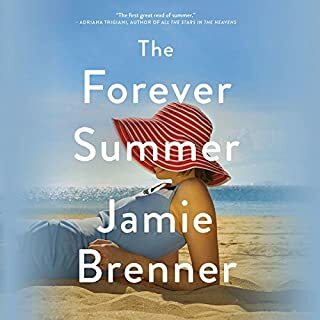 Seeking answers, Marin agrees to join her on a soul-searching journey to Cape Cod, to meet the family she didn't even know she had. Summer chick lit beach read at its finest! From the author of Another Piece of My Heart comes the gripping story of two women who live on opposite coasts but whose lives are connected in ways they never could have imagined. Both women are wives and mothers to children who are about to leave the nest for school. They're both in their 40s and have husbands who travel more than either of them would like. They are both feeling an emptiness neither had expected. But when a shocking secret is exposed, their lives are blown apart. Memorial Day weekend means that seasonal visitors have descended on the glamorous island of Nantucket. For year-round resident Darcy Cotterill, it means late-night stargazing in the backyard of the beautiful house she grew up in and inherited from her beloved grandmother. It's also Darcy's chance to hit the beach and meet her new summertime neighbors. But the last person the thirty-year-old librarian expects to see staying next door is her ex-husband, Boyz, along with his wife, Autumn, and stepdaughter, Willow. Evvie, Maggie, and Topher have known one another since college. Their friendship was something they swore would last forever. Now, years have passed, the friends have drifted apart, and they never found the lives they wanted - the lives they dreamed of when they were young and everything seemed possible. By their 30th reunion, these old friends have lost touch with one another and with the people they dreamed of becoming. Together again, they have a second chance at happiness...until a dark secret is revealed that changes everything. Callie Perry is a successful family photographer living in upstate New York. She adores her two daughters, has great friends, and actually doesn't mind that her workaholic husband gets home at 9 p.m. every night-that is, when he's not traveling six months out of the year. Callie's younger sister, Steff, on the other hand, has never grown up. She's a free spirit, living in downtown Manhattan and bouncing between jobs and boyfriends. Lately, she's been working as a vegan chef, even though she can't cook. Good book, too many recipes! In this trio of warm, witty, insightful stories, three very different women face questions of the heart that could change all their Christmases to come. Dorothea Benton Frank is a treasure of American letters with numerous New York Times best-sellers to her credit and a portfolio full of critical acclaim. “Mixing high drama and high jinks” ( Booklist), her third Lowcountry novel follows the fortunes of the dysfunctional Abbot family. Looking to set her life aright, Anna Lutz Abbot returns to her South Carolina lowcountry hometown. And as she attempts to right past wrongs, Anna receives help and support from a quirky cast of lovable locals sure to endear themselves to listeners. The New York Times best-selling author of Falling presents a warm, wise, and wonderfully vivid novel about a mother who asks her three estranged daughters to come home to help her end her life. Ronni Sunshine left London for Hollywood to become a beautiful, charismatic star of the silver screen. But at home she was a narcissistic, disinterested mother who alienated her three daughters. As soon as possible, tomboy Nell fled her mother's overbearing presence to work on a farm and find her own way in the world as a single mother. The target of her mother's criticism, Meredith never felt good enough, thin enough, pretty enough. Her life took her to London - and into the arms of a man whom she may not even love. And Lizzy, the youngest, more like Ronni than any of them, seemed to have it easy, using her drive and ambition to build a culinary career to rival her mother's fame, while her marriage crumbled around her. What disappointed you about The Sunshine Sisters? The story was decent but I couldn't bear the narration. I wish I had listened to the sample because it only took about 30'seconds to find the narration annoying to the point I couldn't listen. I tried several times but it was impossible to concentrate on the story because of the horrible accents. Would you be willing to try another book from Jane Green? Why or why not? 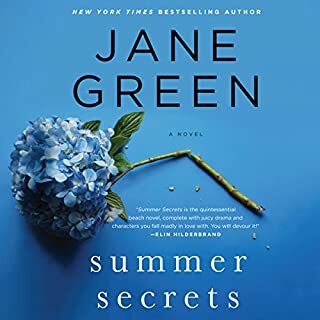 I've read several books by Jane Green and would definitely try another with a better reader. Or maybe I should stick to the hard copy. I don't know where to start here. The narration was slow, the voice irritating and the accents outrageously bad. Disappointed because I couldn't finish it. I don't usually do reviews - and I read tons of books - but I found this narration so poor I thought I needed to share. I liked the story but hated the author narrating it. She may be a good author but she should have someone else narrate for her. I love Jane but didn't care for her narration. The story was a bit predictable at first but I enjoy Jane so I plugged on, and I really am happy I stuck it out. It turned out to be quite delightful. This is a really great book although Jane Green should stick to writing. She does not have a good American accent and in the beginning it was very hard to listen to. I only struggled through it in the beginning because I really like her books, I did get used to it but it was rough. An alright story, but the worst narration I've heard yet. I should have read a print copy! The accents and voices were terrible and hard to follow. 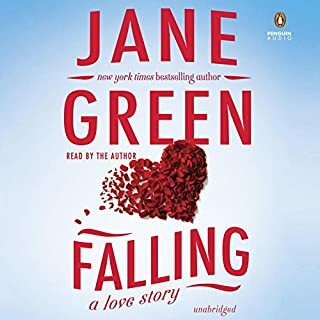 I do always enjoy Jane Greens light and romantic stories. 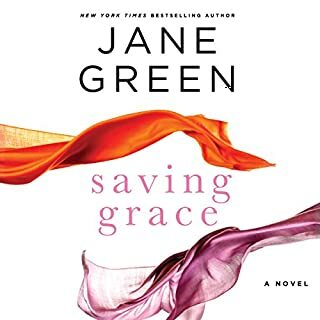 I always love Jane Green's books, and this one was such a great story. Perfect for a day at the beach or commuting to/from work. I couldn't wait to get back to the Sunshine sisters at the end of the work day! 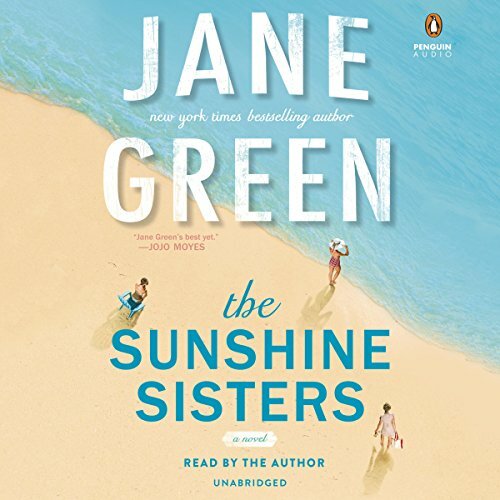 What did you like best about The Sunshine Sisters? What did you like least? I liked the story of the 3 sisters, and to find out the directions their lives took. The narration was terrible, especially when she tried to do the American characters. Yes if it wasn't read by the author. Would you be willing to try another one of Jane Green’s performances? I didn't expect copious use of the "F" word in a novel about a mother and three daughters. It was distracting and totally unnecessary. I have read virtually all of the books written by this author and this book will be the last. I will return to other authors, John Grisham, for example, who manage great story-telling without the "F" bomb. I have a mother and 5 sisters. We manage to communicate beautifully without it! The characters were not very developed so the reader could not really feel for any of them. At times, too boring. Disappointed in this book. its wonderful that the author reads her own story and adds that personal touch knowing just how each character would be in her mind. I can't wait to listen to another of her books.